How does an Eye Toy PlayStation 2 game work? 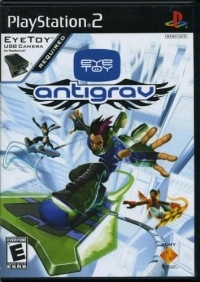 I currently have 2 Eye Toy games for the PS2 and an Eye Toy device, but I never used them. I am not sure how they work, before I try does anyone have any experience on how a to use the eye toy. do I need a motion censer controller as well to play? or not? I know I'm probably missing some kind of control device or not? Re: PS2 Eye Toy Video Games? How Do The Work? Do You Play Them? It's basically the precursor to the Xbox Kinnect. Same concept, but without the voice commands. A camera that has motion-capture technology. You use your own arms and hands and flail around like an idiot. It's a very cheap accessory for the PS2 that plugs into the USB port. There was an EBX at a local mall that I used to go to fairly often and I remember them having one of these setup on their PS2 store kiosk. Honestly, I thought it was neat, but outside of messing with it for about 5 minutes in the store I've had no interest in owning one or using one again. I have several Eye Toy games and played several of them when they were new. 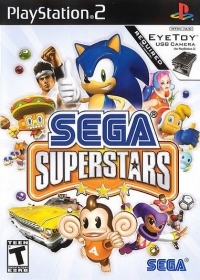 As mentioned they are similar to Kinect games, but more primitive. Kinect has a level of 3D tracking, but the Eye Toy works exclusively in 2D space. It can basically tell the difference between a static pixel (background) and a moving pixel (you) and adjusts the game play accordingly. Most games track arm movement, arms to the side. It can't tell if you are reaching forward for instance. I'm simplifying the explanation of course. If you like to play standing or have energetic kids, it's definitely worth a try.